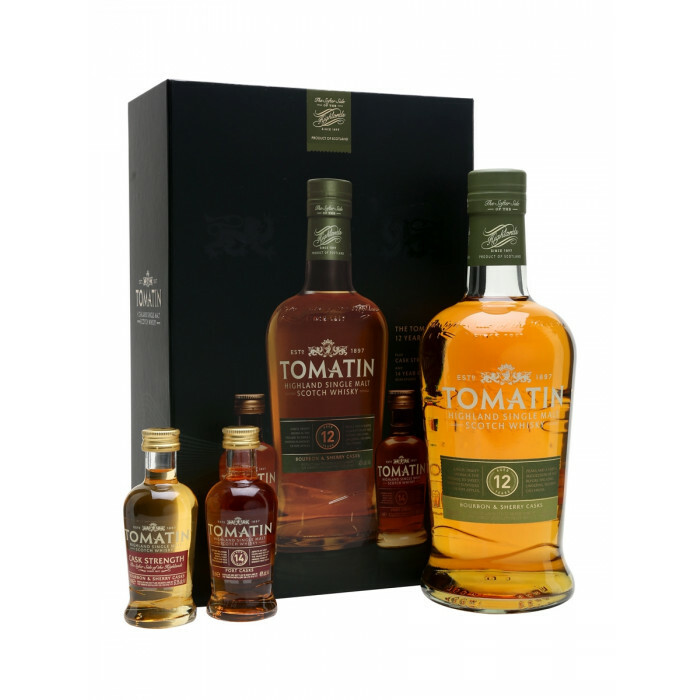 The Tomatin range was relaunched in 2016 and this gift set contains three of the new bottlings. A full bottle of 12 Year Old is accompanied by Miniatures of the 14 Year Old and Cask Strength expressions. A great way to try the range! Nose: Tasty combination of fruit and spice, with fresh aromas of green apple balanced by richer, spicier notes of cinnamon, nutmeg and Parma violets, along with a touch of milk chocolate. Palate: Cleaner and fruitier on the palate – cut grass, lemon and orange peel – then richer notes of woody spice arrive. Finish: The refreshing citrus notes are balanced by the toasty oak.